We are pleased to publish the first book of what we hope to be an ongoing series of books by photographers in a Japan context. 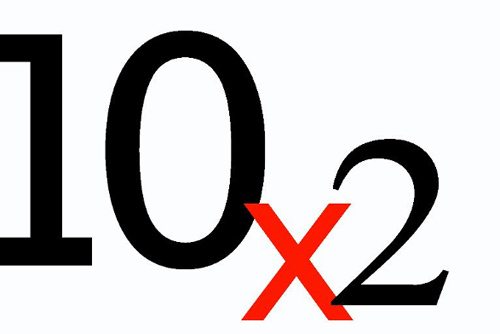 The series is called 10 x 2 and the idea is relatively simple — to present a series of 10 photos each by two different photographers. To kick off the series, the photographers in this case are myself and Dirk Rösler, the people behind the Japan Exposures web site. 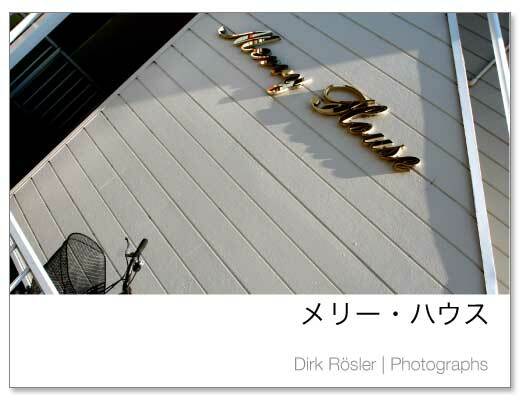 The set of photographs by myself is entitled “Couple Suru” and contains work I have shot in Japan and Honolulu over the last few years. As the title perhaps hints at, the series looks at what it means to be a couple. 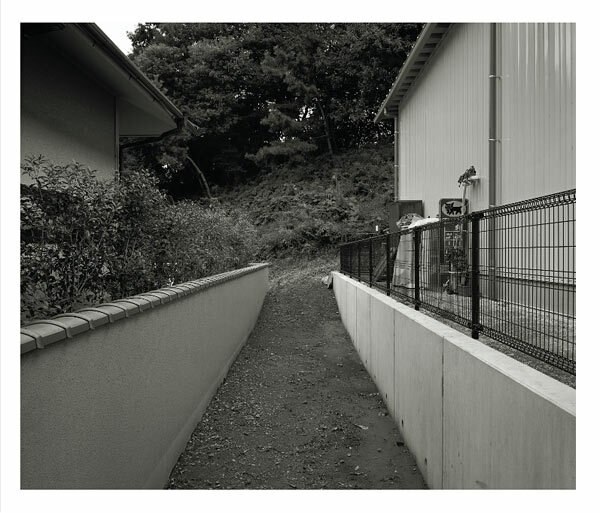 Dirk’s series titled “Between City and Nature” assesses the boundary between city and nature in the suburban and quasi rural Japanese landscape, reviewing what connects “civilised” human life and “wild” natural life. One of the other ideas that we felt was important for pushing along the project quickly — and adding an element of chance or mystery — was that we would gather our respective series of images independently, and that we would not allow our choices to be then second-guessed by whatever the other submitted. I’m happy to say that both of us stuck to this idea. Of course, once you get to a certain point and the book starts to take shape, it’s hard to just “throw it together” and we did take some time and back and forth in terms of how the book should look, whether there should be introductions to the series, and even little things like page numbers or extra blank pages can very quickly become big deals. The devil remains in the details. And of course, there was the decision about where to have the book printed. I had had previous experience with Lulu and Dirk had had iPhoto and MyPublisher books done, but based on a variety of factors we decided that Blurb best suited our needs, or perhaps was the best compromise for a short-run book, and we are quite happy with that decision. Ideally we would like to have found a local Japanese company to self-publish the book, but rather distressingly, almost all books come in a square format which is perhaps nice for wedding photos but doesn’t really fit with our work. Going forward, we would like to use this 10 x 2 structure we have created to publish books by other photographers working in Japan. The book can be purchased via Blurb. 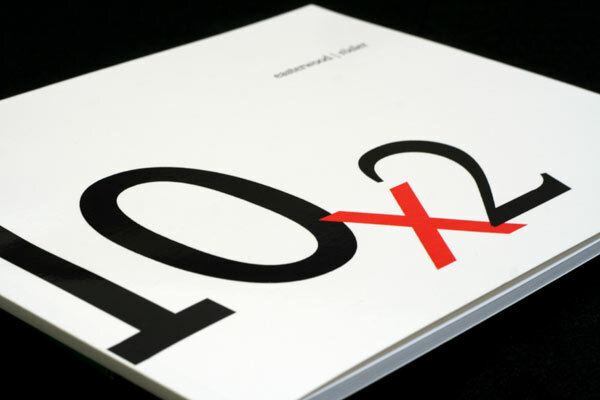 This book can be previewed here or by clicking the 10 x 2 image at the top of the page. 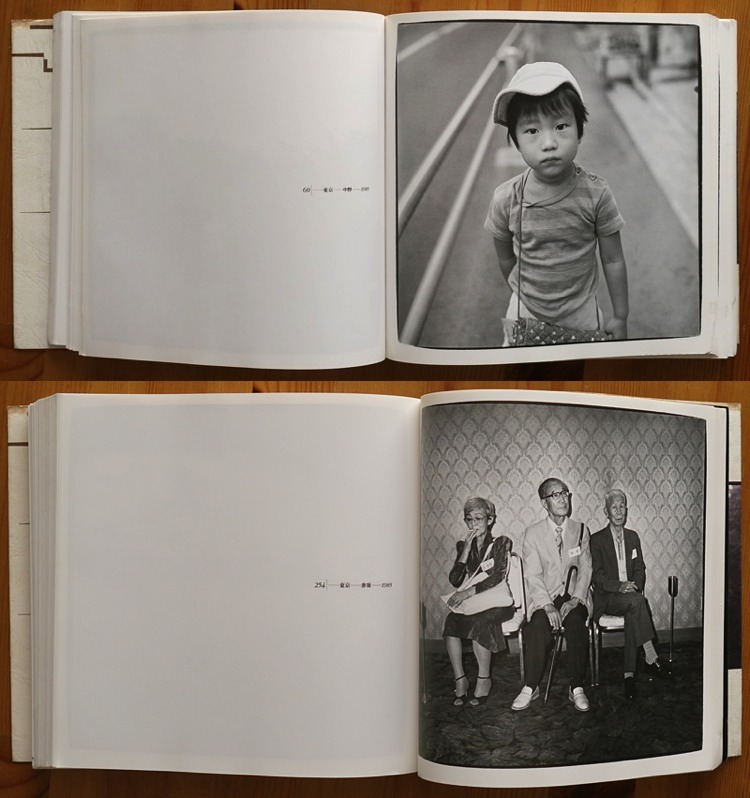 The first impression you get from picking up and open Tomoko Sawada’s School Days is that while it is a standard, small sized photo book and specified as a paperback, the pages are thick cardboard pages like a children’s book. 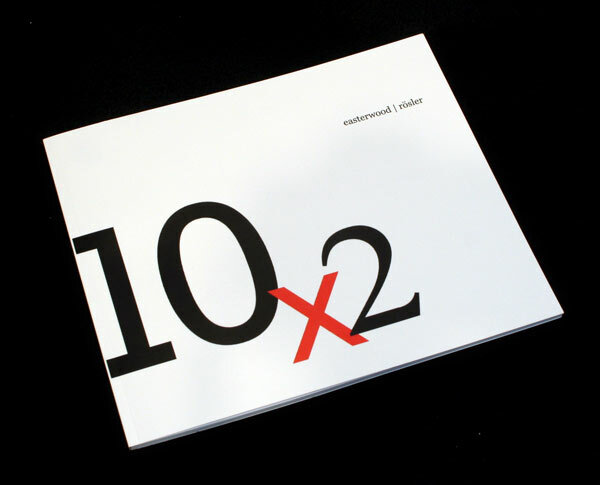 This gives the book a chunky feel, but also means that the number of pages and therefore the number of plates included are limited; only 10 images are on display here. However, this should not be of any concern since once you look at the material it becomes clear that these are essentially ten very similar images and adequately communicate the intent. As many other now well-known photographers, especially the recent wave of female photo artists, Sawada’s career breakthrough came via the annual Canon New Cosmos of Photography contest and exhibition. She has won the prestigious Kimura Ihei Award in 2004 and is now one of the well-known names in Japanese photography. The majority of – if not all – her work are portraits or perhaps better images of herself. Since a portrait is – or perhaps is supposed to be amongst many other possible things – an image, usually of a person, that reveals something about that person, it would be appropriate to say that Sawada’s images do not reveal anything about her person except her obvious desire to assume different persona and appearances. For this reason she is often compared to the work of Cindy Sherman. This comparison seems only superficially valid, however, as the primary commonalities are that both of them are female artists that take pictures of themselves in different situations and with differing appearances. This again leads to the obvious thought that the images are about identity and the role of a woman in society. 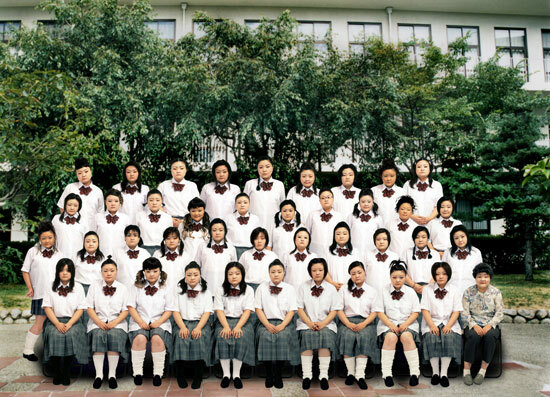 The Japanese group photograph has a long, great tradition and is socially significant. In a culture where the molecular social fabric consists of groups of people it seems only reasonable to document the group photographically as if to reassure the viewer of its existence or the subject’s actual integration with the network. Formal group photographs are taken in a wide variety of occasions: in schools, at weddings, travelling tour groups and employees at company outings to just name a few. School Days chooses the convention of the class photograph with the typical backdrop, ideally a blossoming cherry tree, or simply the standard boxy Japanese school building. Since all the subjects in the photographs are girls in their identical high school uniforms with the exception of the teacher, it takes a few moments to realise that everyone including the teacher is actually one and the same person, or rather, have the same face with differing hairstyles and facial expressions. This introduces another angle to the series, which is that of homogeneity and conformism in Japanese society. I see this interpretation with some scepticism and an overly Western view, which presupposes that all Japanese look similar and are brought up to be similar. While there is an element of truth in this, such an interpretation appears to be exaggerated. If the artist had indeed intended to examine this aspect of society, then the choice of a group of people in uniform is not a very subtle approach. Quite the opposite, since at first glance the girls all look different it would suggest that individuality in a literally uniform environment is possible, which is not always obvious to the untrained Western eye. School Days is not and does not have to be a book of beautiful photographs. 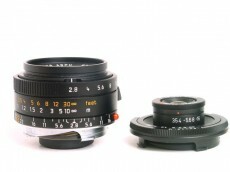 The images are clearly digitally composited, including the dropped in background. The printing quality reminds of inexpensive digital output, but this is not of great importance here and perhaps even appropriate as this is what you usually end up with as group member whose photo was taken. Neither in my view is in this series the angle of femininity of great significance, although it is not surprising if this aspect would be emphasised by Western viewers as it is conveniently presented for such interpretation. Replace these high school girls with uniformed boys and the result would be the same. Consequently Sawada’s work appears to want us to think primarily about aspects of our identity, that every person is unique and probably can be unique in an infinitely number of ways (some of her early passport booth work consists of hundreds of photos of herself). That a single person can appear different on the outside in a myriad of ways but will always be the same person internally. Ultimately she seems to ask over and over again what is the connection between personality and the appearance of a person and whether there is such a connection at the first place. Sawada’s work not only examines social aspects of identity but also photography’s ability to represent reality – a classic question, but in my view the work presents only few new answers and one is left desiring more profound insight than currently the case. 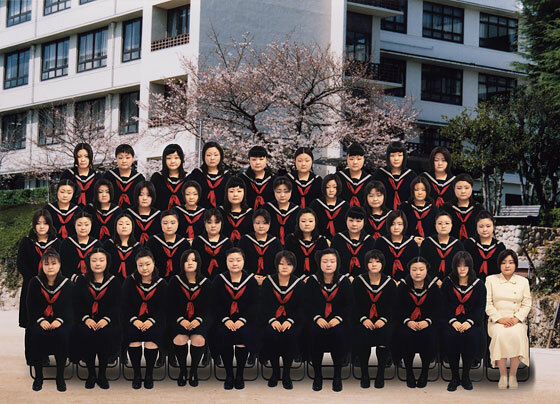 School Days is available for purchase from the Japan Exposures bookstore. Even though Ryuichiro Suzuki has been a photographer for close to 45 years, he has until recently remained relatively unknown and unheralded, even in Japan. 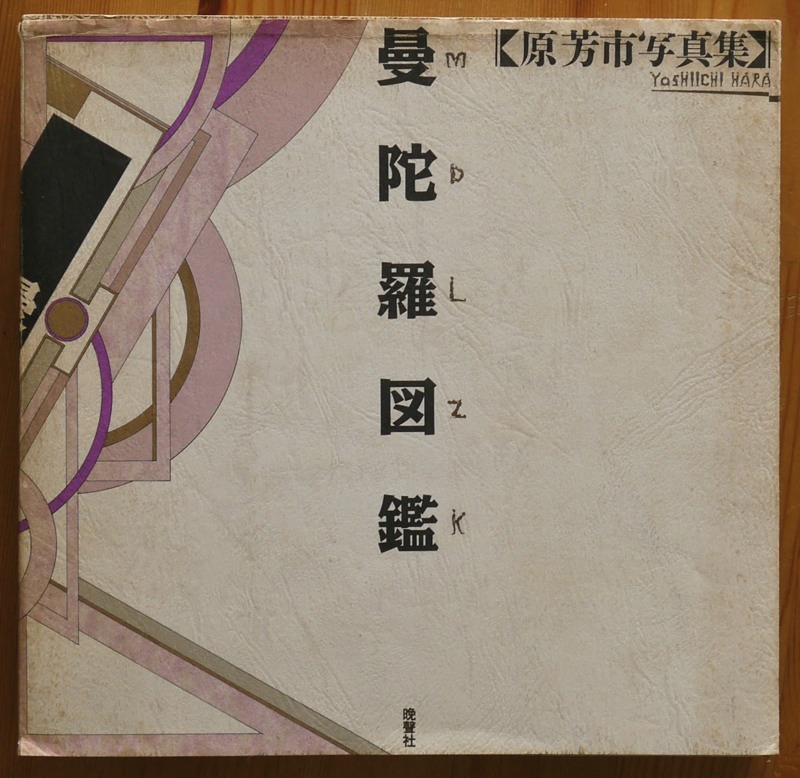 However, with the publication last year of Odyssey, a retrospective monograph of Suzuki’s career, as well this year’s release of Druk – both from the Japanese publishing house Heibonsha – this will surely change. Indeed, earlier this year Suzuki was awarded an “Annual Award” from the Photographic Society of Japan in recognition of the work compiled into Odyssey. Suzuki was born in the Kamata area of Tokyo in 1942. 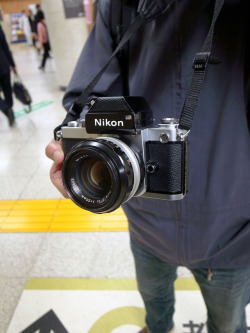 He attended Tokyo’s Waseda University, and it was during this time that the 19-year old student began to take photographs. The first plate of Odyssey is a 1962 photo of a young woman that Suzuki took in Sanya, a slum populated by day workers where Suzuki lived while attending Waseda. The photo’s title claims – perhaps apocryphally – that this is Suzuki’s “first negative”. Whether or not it is his first negative, it is apparently the only one that survives from this early period. The story, as told in Mariko Takeuchi’s essay about Suzuki included at the end of Odyssey, is that Suzuki was so ashamed of sneaking around taking candid shots of his Sanya neighbors that he burned all of his negatives except this one. After graduating from Waseda (from the School of Political Science and Economics), Suzuki’s work began to be published in various magazines, namely Mainichi Camera, a magazine instrumental in launching the careers of many who would go on to dominate Japanese photography, such as Daido Moriyama. Unlike his contemporaries however, Suzuki was never able – or was reluctant – to turn these opportunities into something greater, preferring instead to work under the radar. From this period three series are included in Odyssey: “Tracer Bullets”, a look at the heated early 60s conflicts between the Left and Right, centered around the nationalist Yasukuni Shrine (1964), “Base”, photos shot at the Yokota American Air Force base (1969-70), and “Banners and Stones”, a look at student protests (1969). These issues and themes were almost a rite of passage for Japanese photographers who came of age in the 60’s, with Moriyama, Shomei Tomatsu, and Akihide Tamura, among many others, exploring this ground, and to this author, both the “Base” and student protest series suffer by comparison. According to Takeuchi’s essay, the “Base” series was basically shot on one occasion, at a carnival at Yokota base that was open to the public, and so it is no wonder this series lacks substance and the photos feel derivative. The same could be said for the protest photos, although certain individual shots are in and of themselves powerful. 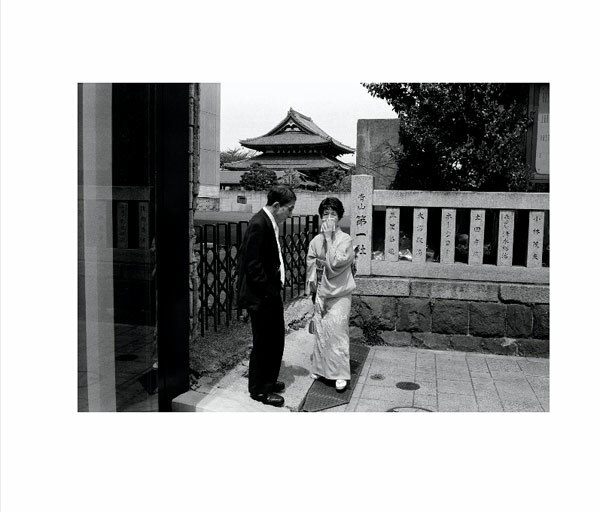 Their inclusion leaves the unfortunate impression that they function in this context as more an attempt to add credibility and prescience to Suzuki’s oeuvre, rather than because they help to broaden Suzuki’s photographic odyssey. 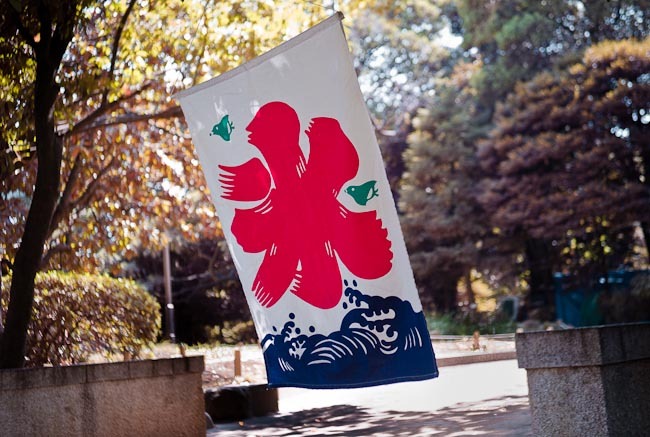 On the other hand, the series centered on Yasukuni Shrine, the earliest work presented in the book other than that “first negative” from 1962, reveals a young Suzuki confident enough not to toe the party line. 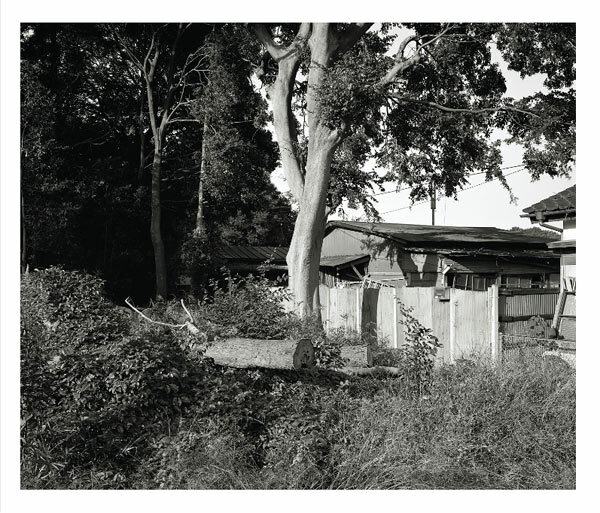 Indeed, which party line Suzuki sympathizes with, if any, is rather unclear from this series, and this unsettling ambiguity gives the photographs a sense of ominousness and foreboding. There are several very strong images here the belie the photographer’s youth. For me, the strongest one is a photograph where the foreground is taken up with the artificial leg of what is presumably a war veteran. The focus point is here, and the hinges where the knee should be seem to gleam and sparkle. 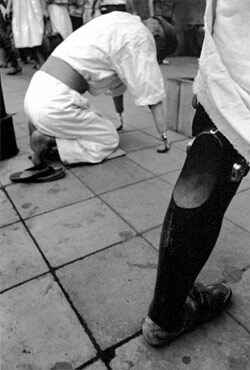 In the background, out of focus but very legible, a robed man is on his knees and bowing, propping himself up by two artificial arms. The caption says the location is unknown, and these two men are on the street. We don’t know what they are doing either, but within the context of the series, it’s hard not to see them as praying to a shrine committed to honoring Japan’s disgraced military. For Suzuki, it is enough to put the contradictions out there, and leave it at that. In 1975, Suzuki was awarded the prestigious Taiyo-sho (The Sun Prize) for his series of photographs entitled “Pilgrimage to India.” For better or worse, India has been a fertile ground for Japanese photographers – Kikai Hiroh being one prominent example – looking for “other” photographic subject matter away from the home front. Suzuki mentions in his brief intro to the India work presented in Odyssey that his 100 days in India was his first time outside of Japan. While not about confrontations like his previous work, ironically the photos see a more confrontational Suzuki. 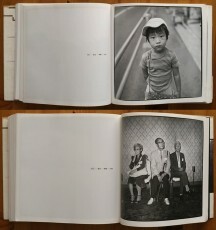 Away from home, Suzuki starts to engage his subjects in a more direct and open manner, and often they stare back. The India work seems to have presented Suzuki with a turning point, a chance to re-assess his photography up to that point, and the work that comes after and extends up to the present day has a different feel to it – almost a melding of the distant, observant Suzuki of the 60s and the in-your-face quality of the India work, a happy medium as it were. 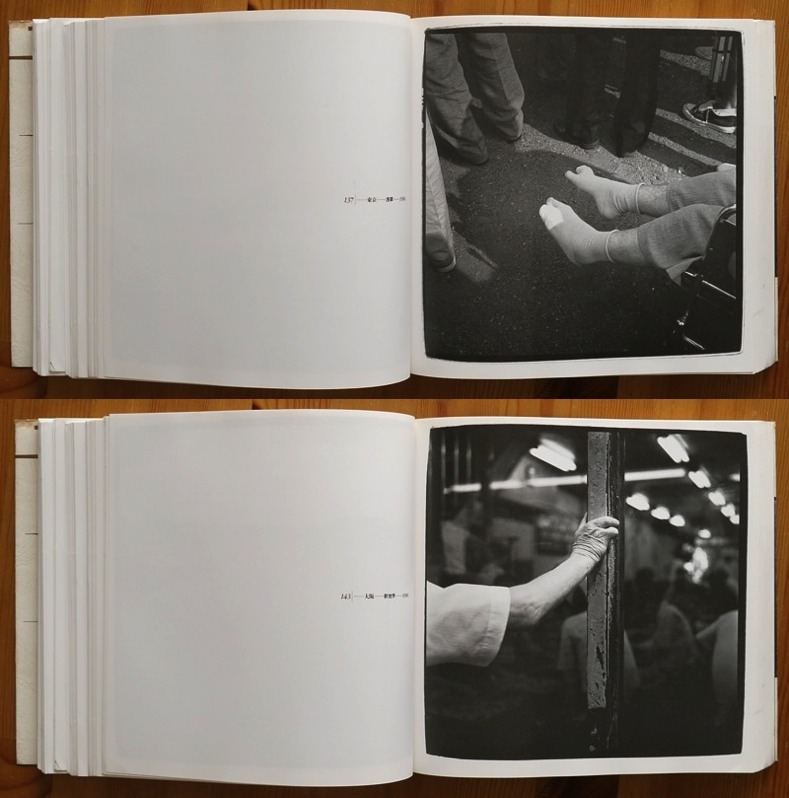 For this writer, the most interesting series in Odyssey is one entitled “Fables”, a modest grouping of images shot in Japan using the square 6cm x 6cm format. Whether this was an actual project Suzuki was working on at the time, or merely an arbitrary bringing together of disparate work for the purposes of this book, the series helps to show how Suzuki’s odyssey changes after India. It is not just a return to Japan that sets it apart, but for the first time, domestic scenes – most likely Suzuki’s own home, his own children – become a subject. Suzuki captions this series by writing, “I had pleasant dreams and nightmares, looking through a frame measuring just 6cm x 6cm”, and indeed there is a dreamlike quality to the work here, photographs taken out of context as it were. Children appear with masks, or they are shot behind screens or from behind, and there are a couple of portraits that would not be out of place in a Diane Arbus monograph. This collection of nine images finds Suzuki embracing artifice in a way he only had hinted at in the past. 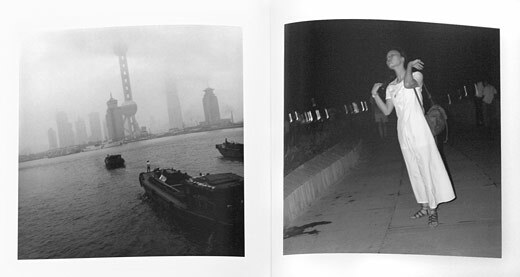 Druk features work Suzuki shot in Singapore, Taiwan, and Shanghai, and the book is divided along these lines into three sections. It’s hard to avoid the realization that these three places were all occupied by Japan during World War II, although there are only a few images that seem to consciously point this out. Nevertheless, by focusing on these three locales, there is a sense that they allow Suzuki to satisfy his wanderlust yet remain somehow tied to Japan. All of the photos in Druk (about 130 in all) were taken using the square format, which helps to make the work cohesive despite the different locales and the years when the material was shot. More than that, the square frame serves the material well, imposing an artificial, formal order on the often chaotic life occurring both within and out of the frame. Although there are no portraits per se in the book, there are quite a few shots of individuals, most caught in un-posed reflection or curiosity directed at the photographer. More than a few are captured behind sunglasses, lending them a slighly raffish air. Actually, “raffish” is probably a good word to describe a lot of the city scenes in Druk, though I’m not sure how good a thing that is. I have no doubt that there is plenty of blight to go around in the places Suzuki has taken his camera, even in a place like Singapore which tends to be perceived by the West as more “like us”. And to be sure, there is a substantial amount of photos that can be said to be capturing that crossroads of developing and developed — a theme of the book in and of itself. But there is also the inescapable feeling that Suzuki was, if not exactly looking for the “old world”, certainly attracted by this aspect of it. You wonder if Suzuki is traveling to these places not so much to capture a bit of what life is like there as to capture what life used to be like here, in Japan. These three locations, each with complicated relationships to their former occupier, are certainly a fertile ground for Suzuki’s traveling dragon, and for the most part you feel Suzuki is aware of the contradictions even if he isn’t fully capable of harnessing them. That he isn’t may be down to a subconscious desire to find again that young girl of Sanya that opened the Odyssey collection. I for one would rather have Suzuki looking ahead and therefore, as much as much of the photos themselves in Druk are wonderful, the book as a whole doesn’t wholly satisfy. 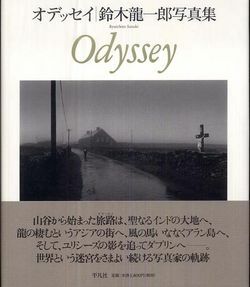 Both Odyssey and Druk are published by Heibonsha, a publisher with a long history and a strong pedigree in photo book publishing. The books are well-printed, and feel sturdy and substantial. 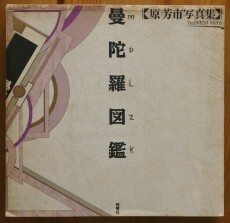 The photo captions, as well as the essays about Suzuki and his work, are translated into English in both books. 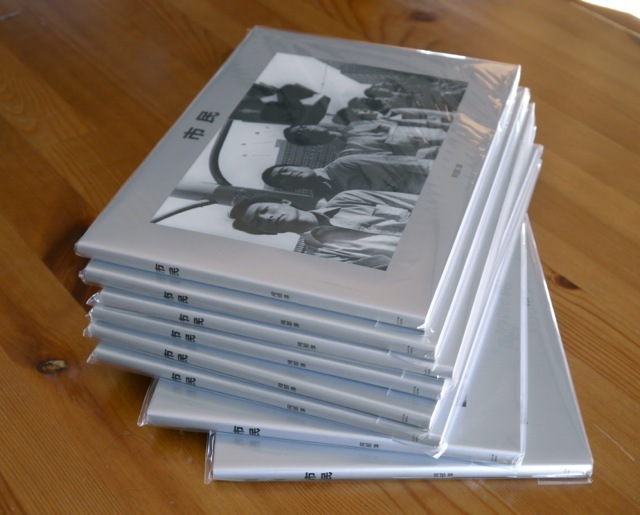 The Druk book is a bit larger, as are the photos themselves. Pricing for both is identical. As detailed above, Odyssey is a retrospective look at Suzuki’s career up to the present. Druk, on the other hand, is a body of work that Suzuki shot in Singapore, Taiwan, and Shanghai, and is grouped as such in the book. Odyssey features approximately 150 photographs, mostly one to a page, although for the later work done with a panorama camera, sometimes a single photo is spread over two pages, or there are photos printed two to a page. Druk, on the other hand, features 132 plates, all one photo to one page. The images are all in a square 6cm x 6cm format. If you were to limit yourself to one, then it is a bit of a toss-up as to which one to get. Odyssey is of course an obvious choice, since it is a retrospective look at Suzuki’s entire career from the early 60s up to the present decade. Those who enjoy what they find in Odyssey could then add Druk to their collection. On the other hand, it must be said that in this writer’s opinion, the sampling of the “Druk” work in Odyssey is not as strong as it could be, and it would be a shame for people who like Suzuki’s work to pass on Druk because of it. Furthermore, of the two, Druk feels the more substantial, and the more likely to reward repeated viewings, despite my misgivings noted above. This book was not planned to happen. It was created somewhat accidentally, without a concrete result in mind. 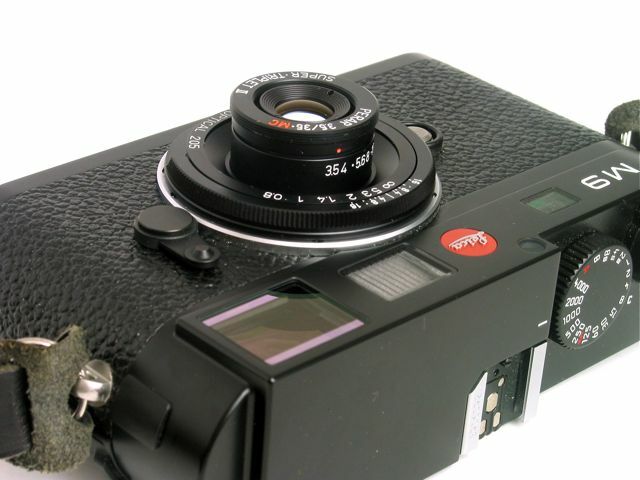 In spring 2006 I went out with a then new digital camera and came up with the idea to a flash project, essentially a fancy term for a collection of photographs on a specific topic to be created within a short period of time. Evaluating the appearance and other formal qualities of digital images, I set out to emulate Japanese photography or at least what was my impression of it. Seemingly arbitrary photos of environment and people, high in colour saturation, film grain and often out of focus, low in formality and overall a highly subjective and personal assessment of the immediate and trivial. The results somewhat surprised me. Perhaps an overall disrespect towards the photography style I had in mind and the consequent effect to not take the subject matter and even the image-making process itself too seriously helped producing the imagery involved. Looking at the results as a series of photographs, it appeared that in a particular way the aggregate result was greater than the sum of its parts. Once again, a surprise. 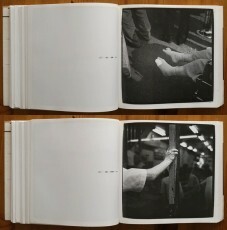 The Japanese photobook, a small format book with the images printed in full bleed i.e. without image borders or explanatory captions seemed the natural way forward. The result to which you see here. While it is perhaps not breaking new ground photographically, the book is an attractive artefact and is pleasant to read through and enjoy the images. At the same time it feels that the shallow mystery of the Japanese photobook has been revealed and it is time to move on. Photobook, soft cover, 8 inch x 6 inch, 54 pages, 52 colour images.